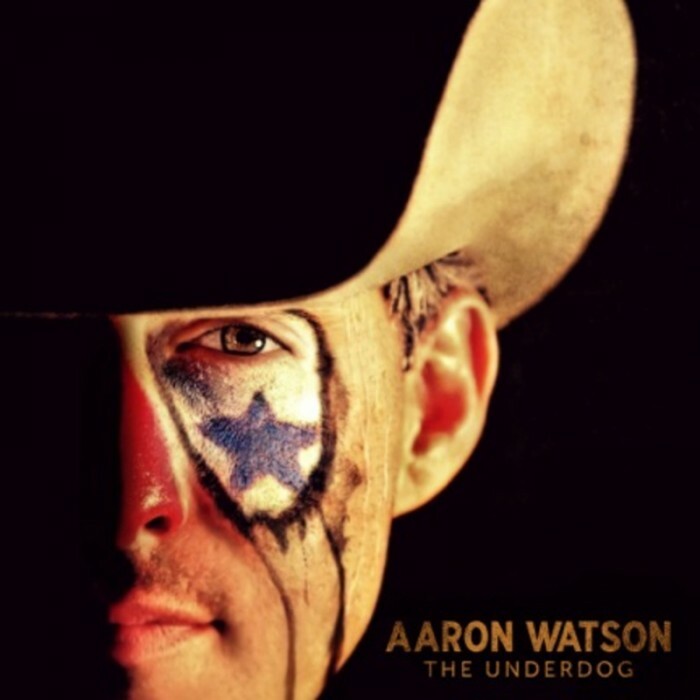 To truly appreciate Aaron Watson you have to see him perform live. It’s a statement that has been over used but it seldom fits so appropriately. In August 2015 I had the pleasure of seeing Watson and his superb band perform in a small bar and grill in California. Country star Cam (Burning House) was supporting. It was an experience. We were standing very near to the stage surrounded by very excited, very boisterous “cowboys” who had spent the waiting time drinking copious amounts of alcohol from glass jars. This is Watson’s tenth studio album. He has also released two live albums. It has been out in the States for some months now and went to number 1 on the Billboard Country album charts. This is a major achievement considering he isn’t signed to a major label. Needless to say the audience knew every word and most of this album was featured in the live show. Unfortunately mainstream country radio ignores Watson’s single releases. The first single release from the album “That Look” is one of my favourite tracks of the year and is a standout here. It reached 41 on the US Country charts which tends to indicate the current state of US Country radio. Aaron tells stories. He tells stories in his music. He tells even better stories on stage. He has had to fight all the way and is only now extending his popularity beyond his Texas roots. That’s not to say the new single “Getaway Truck” will be a hit. It will be ignored as usual. It’s not something country radio will have any interest in playing, despite the track’s phenomenal potential. The album is called the “Underdog”. I can’t think of a more fitting title. A special mention has to be given to the track “Bluebonnets (Julia’s song)”, written about Aaron’s daughter who sadly passed away shortly after birth. The main line in the chorus, “life is like bluebonnets in the spring” is a beautiful and touching evaluation of the shortness of life and the value of each and every day we spend on this Earth. Knowing Aaron’s story, I have to admit this track bought tears to my eyes. This is certainly one you won’t want to skip. It finishes with “Fence Post”, a story that Watson performs brilliantly live about his rejection by a Nashville record label. His career and indeed this album epitomises his willpower to carry on and “make it” anyhow. His fan base lapped it up. We had the very great pleasure of meeting him post show and he was hoping to pay us a visit here in the UK early next year. If this materialises please make the effort to attend. You won’t regret it. In the meantime, I heartily recommend this album. It’s a collection of fine songs from a mighty fine Texas country artist.